WICE is fortunate to have as our Cooking Instructor - Chef Randall Price - a Paris-based private Chef who teaches French cuisine and caters special events for private clients. With over 25 years of experience cooking in France, Chef Randall Price will share his love for French cuisine with us during his demonstration-style classes. Join us in our spacious kitchen - a private Paris apartment which has an open, warm feel with a modern touch. The view from the kitchen table takes in the courtyard with its beautiful olive tree. 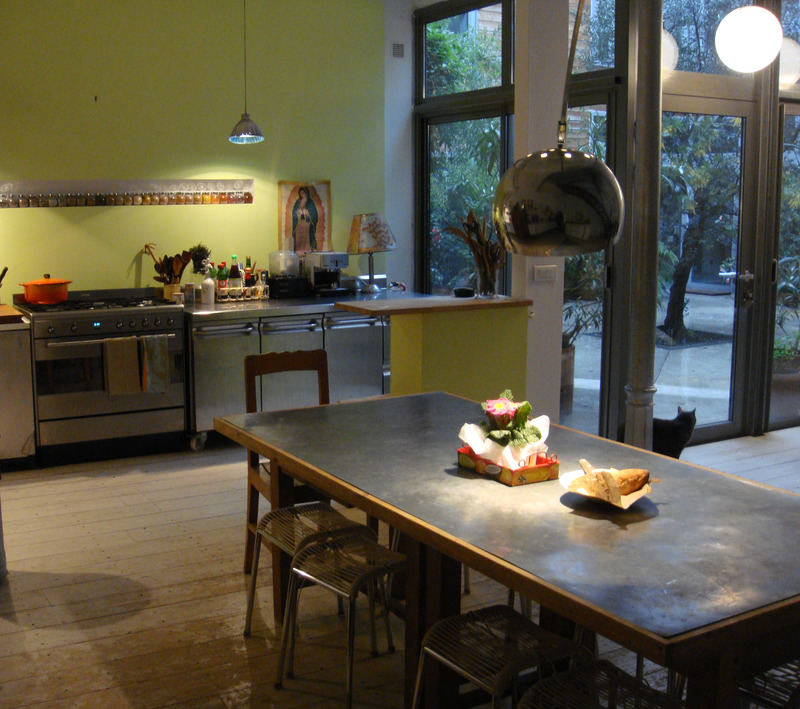 Relax and enjoy a delicious cooking class in this beautiful oasis, right here in Paris. Chef Randall Price has tested many hundreds of recipes for cookbook authors, as well as his own, and he aims to write clear recipes for you. 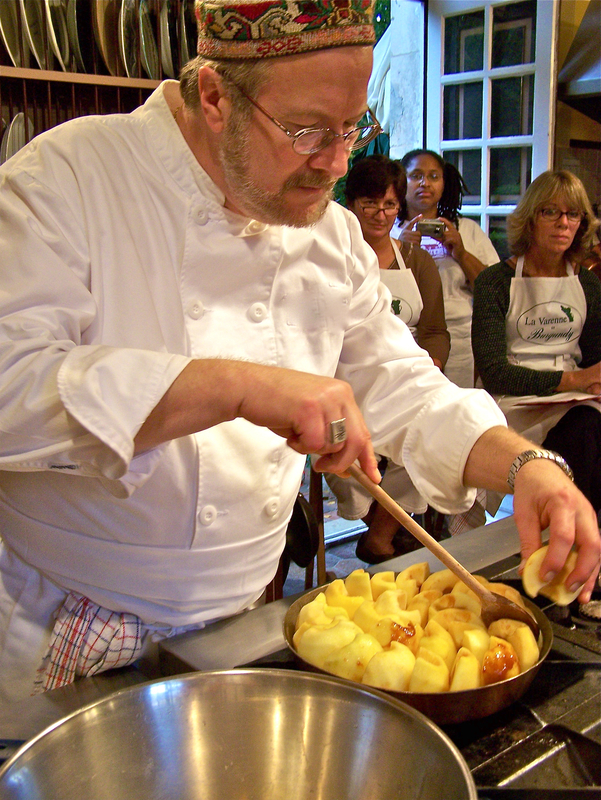 He focuses on contemporary versions of classic French dishes, with particular techniques demonstrated during class. He chooses dishes using ingredients that you will readily find at your local supermarket. His aim is that, after class, you will be able to accomplish the class dishes in your home kitchen, without need for expensive, hard-to-find items or specialty equipment. Chef Randall Price has been a private chef for many ambassadors, diplomats and royalty. For two years he was the Chef at the American Embassy in Budapest, where he prepared a dinner for 2,000 guests hosted by President George H. Bush. Chef Randall Price returned to Ecole de Cuisine La Varenne where he was the Resident Chef Instructor and Director of the Test Kitchen for 12 years at the school's location in Chateau du Fey in Burgundy. He was the host of The Travel Channel's "Europe's Classic Inns" and has appeared frequently in Fine Cooking magazine, as well as on local and national TV and radio in the US and France. A few years ago, he published a book that documents his then-18 summers of catering for the artist Countess Joy de Rohan-Chabot at her 1,000-year old chateau in the Auvergne, entitled "Chroniques Culinaires et Caustique d'un Cuisiner Americain au Fin Fond de la France." He continues his summer catering work for the Countess.